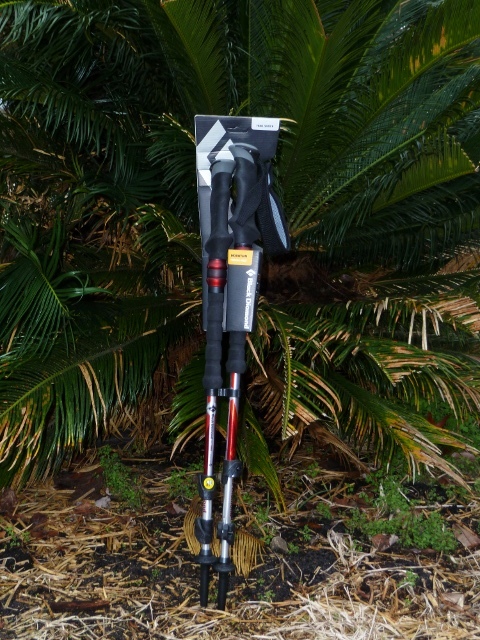 Trekking poles are a topic that can get as ugly as battles raging over whether “real” chili has beans or no beans. Some people can be downright fanatical on either side of the fence. I’m still not sure where I fall but I’ve finally gotten my first pair of decent poles and thought I’d let you know about them. If you’re like me you won’t be able to find them in town where you can put your hands on them so I wanted to try to fill the gaps in the reviews I’d read. About two AT hikes ago I started experiencing some knee pain on a descent to the Woody Gap Shelter. I didn’t give it much thought and chalked it up to fatigue. Well, on a recent day hike of just about 12 miles I felt it again starting about mile 8. When I got home I didn’t think I’d be able to get out of the truck and spent the next few hours in the most excruciating knee pain I’d ever experienced. In all the reading I’d done about trekking poles reducing the impact to your knees was one of the top benefits that caught my eye. 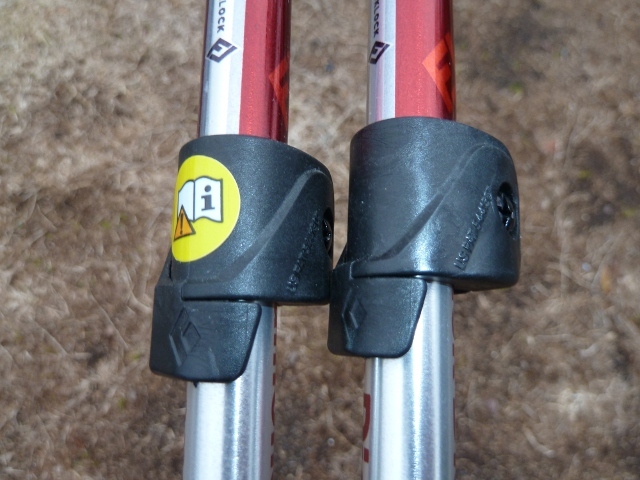 I purchased a pair of Black Diamond Trail Shock trekking poles from Teton Village Sports and decided to see what they were all about. So far I’ve had them on the trail a few times and I’m impressed. I have other gear from Black Diamond and have always been impressed with the quality I’ve seen in their various products. I’ve used their caribiners for years. The Trail Shocks are no different. These are definitely high-quality poles. I’d originally wanted cork handles. 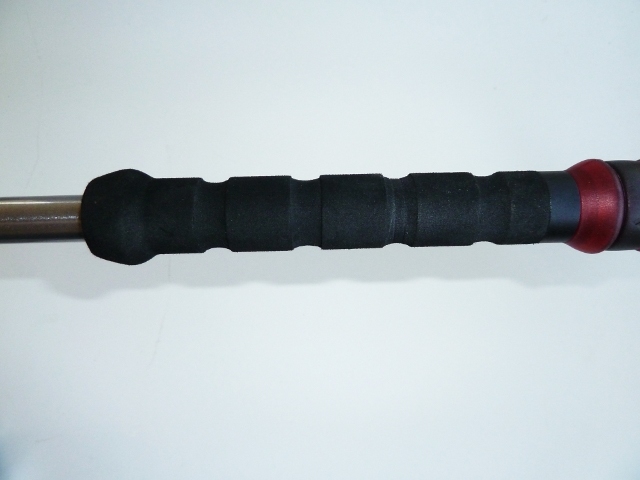 However, the Trail Shock sports a dual-density foam handle which I’ve really come to like. I found the handle to be very ergonomic and extremely comfortable. The padded wrist strap is also very comfortable and better than what I’ve seen on other brands. 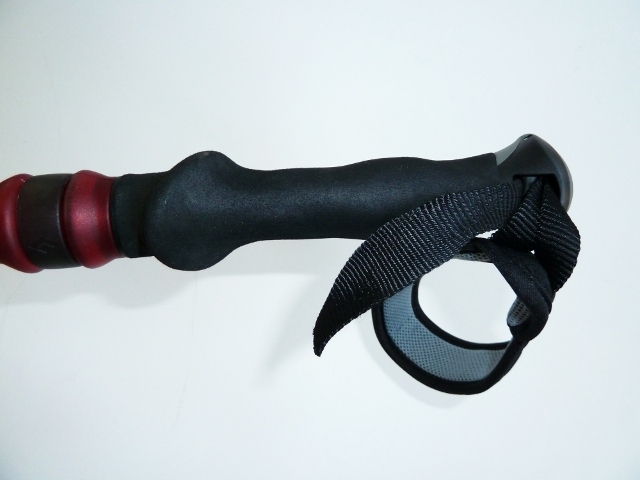 The handle actually extends down the top shaft providing a more firm grip than the upper handle. This is great for those steep uphill climbs as they allow you to choke down on the pole without having to stop to adjust the length. Between the handle grips you’ll find Black Diamond’s progressive four-stage shock system which uses Control Shock Technology. Rather than a mechanical shock absorption system CST is like a gel insole to a degree. The tips are a little different than what I’d expected. Rather than being chiseled to get a good grip on rocks they have a concave pocket. They work well on soft trails so I’ll have to see how they do in the mountains. I’ve never been a big fan of twist-lock poles. I had a pair of cheap Swiss Gear poles and the first thing that quit working was the twist-lock. 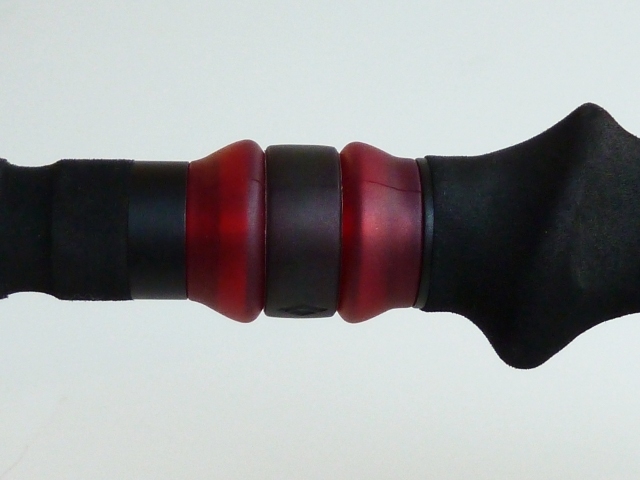 Both Leki and Black Diamond have made advances in pole adjustment and Black Diamond’s version is called FlickLock. The FlickLock mechanism works very well and creates a nice, solid lock. It can also be easily manipulated while wearing heavy gloves while on your winter outings. 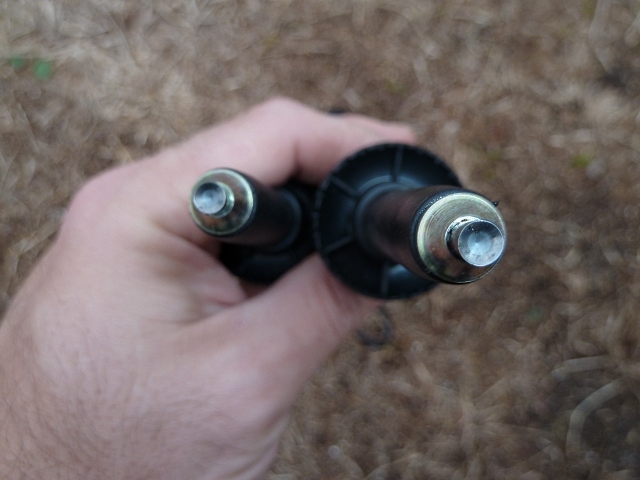 One downside to the FlickLock is that the tension adjustment requires a screwdriver so you might want to make sure it’s correct before you hit the trail. Only one of my locks needed to be adjusted from the factory but it’s rock solid now. While hiking with the poles I noticed that they’re pretty sturdy. There isn’t any clanging or “cheap” sounds as they strike the ground and I never wondered if they were going to hold up. The certainly made the brief uphill climbs easier and seem to do a good job on the downhills as well. I was really impressed with how easily I found myself getting into a rhythm with them on the straight stretches. I can certainly see how they can help you hike longer and faster. I’m very happy with my Black Diamond Trail Shock trekking poles for now. I’m really looking forward to trying them out on the AT later this year.